Few things are worse than having a refrigerator and or freezer full of food, only to malfunction or stop working. 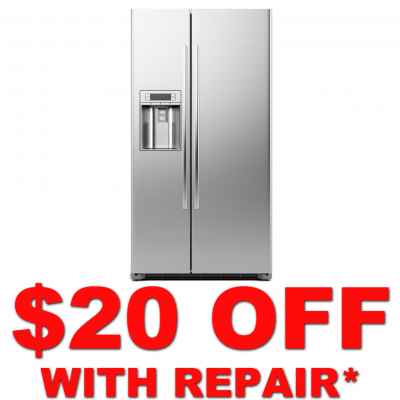 In the event that your refrigerator or freezer is not working properly, you can trust our over 38 years experience to help you get this critical appliance operational. Your food is expiring before the expiration date – If your food is spoiling before the expiration date that is printed on the packing this can mean your temperature gauge is broken or your fridge is breaking down. Electric bill difference – If you notice an increase or decrease in your electric bills, without changing your living habits, this is a sign that fridge is overworking. Ice crystals in your fridge – Check the fridge’s internal temperature settings. If you are seeing ice on your food, drawers, shelves, and walls in your fridge this signals it is time for your unit to be inspected. Also, if your freezer resembles the North Pole then that is an indication there is a problem as well. Water on the floor in front of the fridge – If your constantly cleaning a puddle that forms in front of your fridge then this is a sign that your fridge is not working properly. Noises – Fridges make noise when they run, however, if there is knocking noises, squealing noises, or the humming stops and starts all the time then this can be a problem with your motor shaft or condenser fan. More than 10 years old – If your refrigerator is more than 10 years old, then these things are going to start happening to you. AAX Repair can come in and make sure your favorite firdge runs like new again! 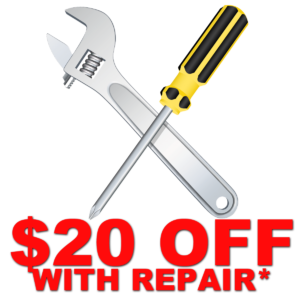 “Had Terry from A-Appliance Xperts out to fix my mom’s refrigerator he was awesome, knowledgeable of machine explained, explained everything to us and gave her a great price, Refrigerator works great would definitely use them again.” – John H.